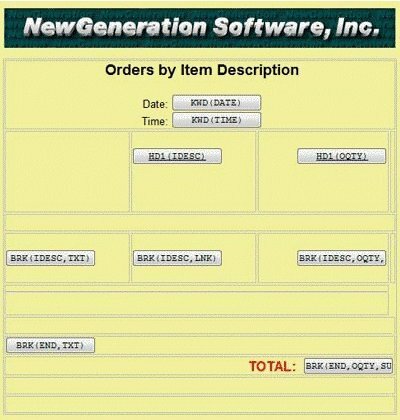 IQ Client™ is the graphical, point-and-click, drag-and-drop, query, report writing, and Web output design module of NGS-IQ™ that you can use anywhere, anytime. It brings the ease of use and familiarity of Microsoft Windows to the IBM i development environment. The Windows “smart client” architecture of IQ Client lets you develop everything from quick ad-hoc queries to production reports and formatted HTML pages. You simply save your work to IBM i for storage and processing. Your queries and reports process as native, batch jobs without compromising performance, security, or data integrity. Your users don’t need ODBC or JDBC drivers to use IQ Client. Users can also output queries to their Windows display, printers, DB2 (summary or detail), XML, CSV, TXT, PDF, and other formats. When you use IQ Client with NGS-IQ’s Qport® Access and SmartView™ modules, your output options expand to include Microsoft Excel, Word, and Access as well as multidimensional “OLAP” presentations. While you can certainly use IQ Client to increase your productivity when writing new queries, the software also enables users who may not have felt capable of writing queries before to download existing queries and use them as templates from which they can quickly produce valuable output. IQ Client’s offline development capability means telecommuters and workers who travel can be productive wherever and whenever they need to be, even while in flight or working in places where Internet access is unreliable or slow. IQ Client offers extensive Web design capabilities, so users can create custom Web reports just like a Web Master, without Java, PHP, or other programming languages. You can incorporate logos, charts, graphics and other elements into a report; customize the layout; add hyperlinks; and more. You don’t need HTML or Web page design experience as IQ Client automatically generates HTML which advanced users may edit directly if desired. Users can securely access and run drillable Web reports from a browser, portal, smartphone, or tablet without the security risks and performance overhead of ODBC or JDBC. IQ Server users can instantly "Web-enable" existing queries. Just download and open the existing query object in IQ Client, click on the HTML tab, save, upload, and run! Download DB2 file layouts or NGS-IQ queries to IQ Client. IQ Client does not transfer any actual records to your PC – just the file, field names and attributes or query objects you request. Write or revise your query. Save and upload your query to IBM i. Security is enforced through the IBM i operating system’s object authority and IQ SeQure™, NGS-IQ’s optional security management module. Query/400 queries can also be enhanced in IQ Client through the NGS-IQ Query/400 API. You don’t need to immediately rewrite your legacy Query/400 queries to begin gaining benefits from IQ Client and NGS-IQ. 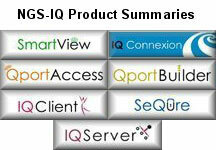 Queries created with IQ Client can be revised and run from NGS-IQ’s Windows, Web browser and 5250 user interfaces. No conversion or translation is required, and you don’t sacrifice the simplicity of the native IBM i execution environment. 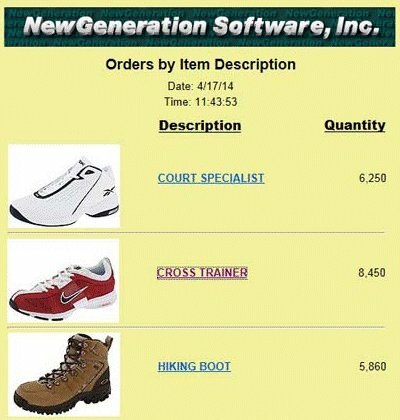 IQ Client, NGS-IQ, IQ Server, Qport Builder, Qport Access, IQ SeQure, and SmartView are trademarks of New Generation Software, Inc. All other trademarks are the property of their respective owners.